Lucasfilm has long organized the EU into discrete ‘publishing eras’ of which there are seven plus the non-canon Infinities “era”. These eras are: Before the Republic, Old Republic, Rise of the Empire, Rebellion, New Republic, New Jedi Order, and Legacy. The dividing lines of these eras are, not coincidentally, where we find our break points. » Read more.. The following analysis relies heavily on a 1000 Character Sample Database created by me as a method of analyzing patterns among Star Wars characters in a systematic way. References in this article to ‘the sample’ are referring to this grouping of characters. A full explanation of this database, and the raw data itself, can be found here. Race is among the most important criteria considered regarding issues of diversity, being perhaps second only to gender. It is also a thornier issue to address analytically compared to gender, because categories of race are far more nebulous and difficult to detect, as well as being simply more numerous than the male vs. female dichotomy that defines the overwhelming majority of gender issues. In Star Wars race is a human issue. While there is some evidence for sub-group division based on physical characters among a small number of alien species there is no systemic pattern and no means to delineate the issues beyond in-universe opinions. As a result, this analysis only considers humans. I am fully aware that many fans of Star Wars lump certain nominally alien species, particularly certain Near-Humans that outwardly resemble members of a specific human ethnic group, as part of racial issues, but for the purposes of this analysis I take the creators at their word that these persons are not humans, and confine the analysis to those who are known to be human. Analyzing race depends on defining it, a difficult prospect, particularly when dealing with fictional characters that cannot be subject to genetic or pedigree analysis and who exist in a cultural context divorced from our own. Nomenclature, to use one simple example, is not a signifier of racial or ethnic identity in Star Wars in the way it is among most human populations on Earth. Four hundred and twenty-six individuals in the sample are Human, or 42.6%. The margin of error for this group is 4.7%. These characters can be broken down by race for further analysis. The issue of gender representation in science-fiction generally, and in Star Wars specifically, can be a greatly contentious one, with continued debate ongoing. Such debates tend to focus on specific works, characters, or situations, which is all valuable, but it may prove useful to also look at the picture in a very broad sense. Equally useful is to look at the gender breakdowns of certain species within the Star Wars universe, to see if there are different patterns, or how gender representation may vary across that demographic boundary. These results are extremely clear: the Star Wars universe is unequivocally male-dominated, with a male-to-female ratio of roughly 3.5:1 rather than the 1:1 we would expect in nature. The number of hermaphroditic individuals is extremely small compared to the whole and composed almost entirely of Hutts. The number of individuals of unidentified gender is actually rather small. It is considerably less than the proportion of individuals of unidentified species. I hypothesize that the revelatory power of gendered pronouns in non-visual media is likely responsible for that discrepancy. There are things everybody knows about Star Wars, about what the universe contains, about the make up of that Galaxy Far, Far Away. Or at least, there are things that everyone believes they know. The actual truth may be buried elsewhere in the fiction, in the mismatch between narrative perception and what actually appears on the page. Numbers are one way to peer into that chasm. Unambiguous and absolute by nature, numeric values can be manipulated in ways purely qualitative data cannot. What follows is the first of a series of explorations into what the number can, and cannot, tell us about the Star Wars galaxy. The initial subject is alien populations, and the distribution thereof. 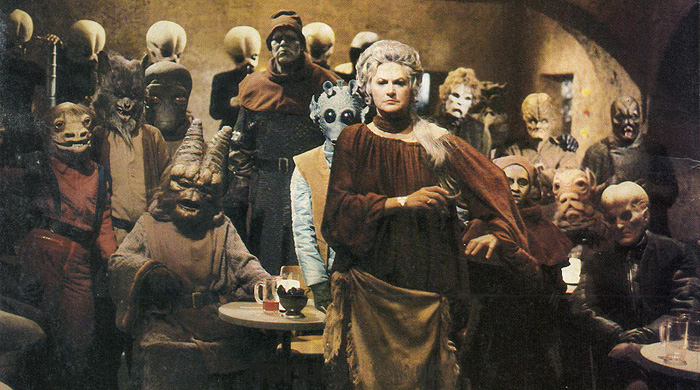 Particularly, how often do aliens appear in Star Wars media, and which ones show up when they do? 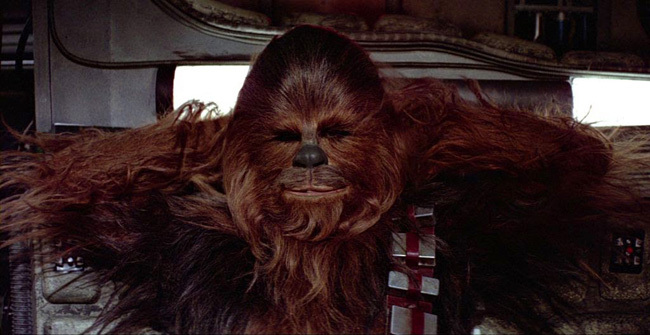 Note: the following discussion relies heavily on information derived from Wookieepedia, the Star Wars Wiki. This is not ideal, as by its very nature wiki data is incomplete and filled with errors. However, it is the best source available on our beloved fictional galaxy. And the only one with the requisite data volume. In order to look at the demographics of Star Wars, it makes a certain sense to start by taking absolutely everything together – all characters recorded in all works. This fits with the principle of a single continuity that has so far governed the EU. Additionally, this information has already been recorded, in terms of ‘Individuals’ on Wookieepedia.